Maisha Lani began her musical explorations from a young age, singing, chanting, and playing West African djembe and djun djun as a family ritual. 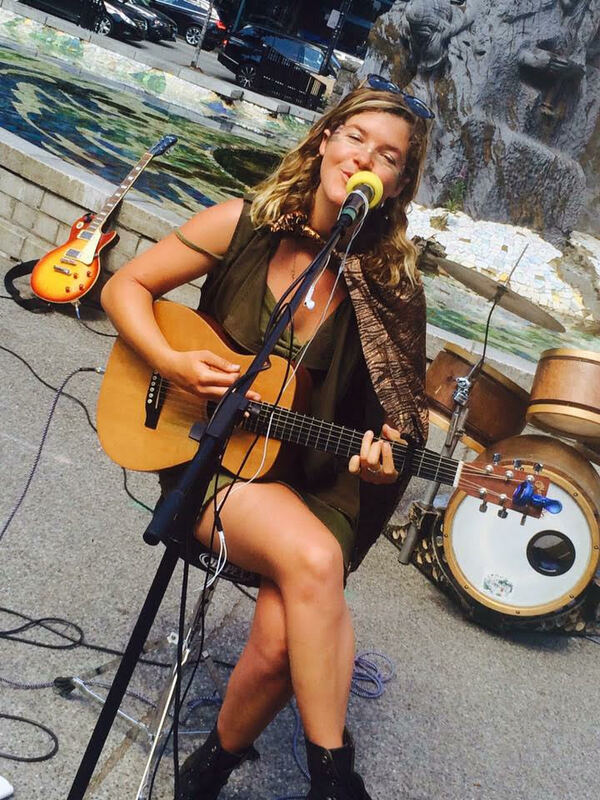 She then began to teach herself guitar and ukulele, write songs and further explore the infinite wonders of music. She has been working as a nanny for over fifteen years and has recently discovered her ambition for teaching; Music Together® providing a wonderful avenue for combining her passion for music and her love of children! For the past two years Maisha has been part of a bicycle-touring music collective, providing pedal-powered concerts and events for a wide range of communities. The collective has given her a wonderful platform in which to spread awareness around climate change and the power of our human bodies! "I feel so grateful to be a part of a child's -- and through this program, also their families' -- musical development, for it continues to inspire me to recognize different ways of learning and perceiving the language of music. It also validates my belief in the importance of music for all learning. As a teacher I strive to hold a container in which all feel safe, encouraged, accepted and excited to sing and explore together! I love to embrace my imagination and creativity in class and have been told it can be quite contagious. By recognizing the importance of music in our lives, I truly believe it ripples out into our communities and larger global web, impacting the way we coexist and co-create with one another." 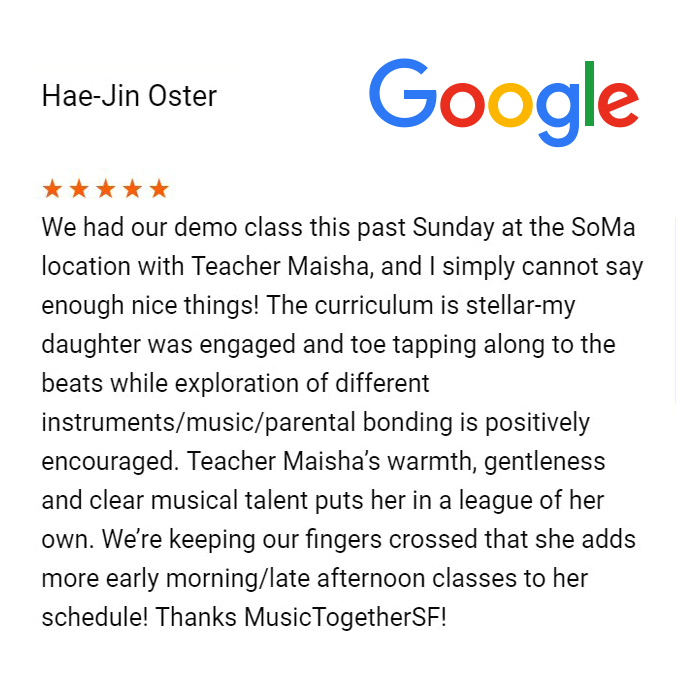 Read Teacher Maisha's review and choose Day & Time below to register for her classes.